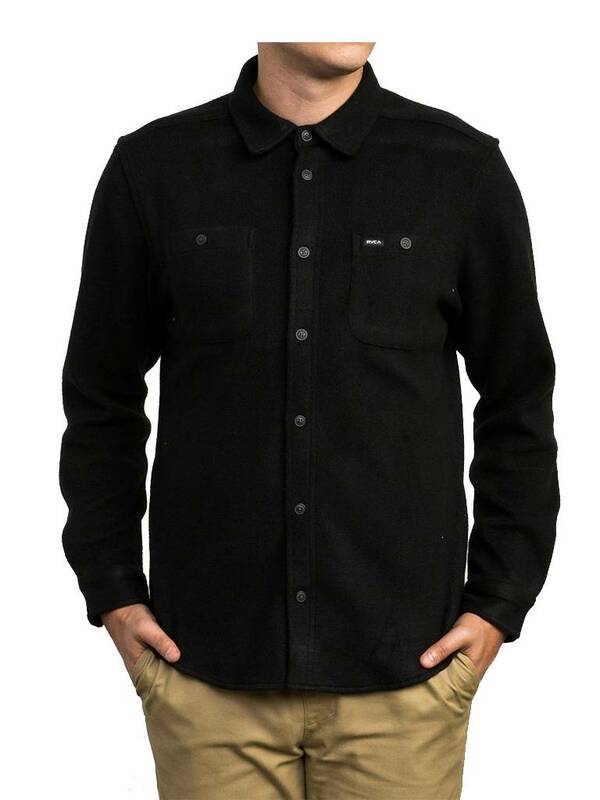 The soft comfort of fleece meets a workwear staple in the original RVCA Uplift Fleece Button-Up Shirt. Deconstructing the long sleeve shirt with a high pile fleece fabric, the fleece top maintains a classic shape, topped with buttoned chest pockets. Signature trims include a suede RVCA solo label at the left chest pocket and RVCA Nature x Industry embossed suede patch at the left hem.